Sarah was born in Bristol and qualified from Cardiff University in 2009. She worked in a dental practice in Bristol for before relocating to North Devon in 2016 to bring up a young family. 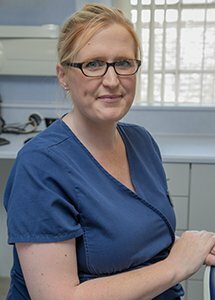 Keen interest in work of providing a good standard of NHS dentistry, outside work enjoys being outdoors and helping build up small holding with husband and son.